"Russian President Vladimir Putin will visit Armenia with two-day official visit. Armenian President Serzh Sargsyan will him alone at the airport. By the way, when D. Medvedev arrived with his wife on 2010, Serzh Sargsyan and Mrs. Rita Sargsyan met them at the airport". 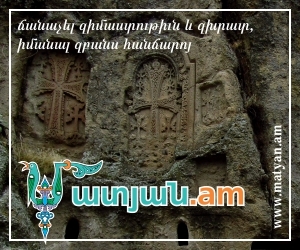 Armenian newspaper "Hraparak" (The Square") writes about this. Vladimir Putin will join the Eurasian business-forum, which will take place at Sport-concert complex. 500 Russian businessmen are supposed to participate in it. The newspaper doesn't know fo sure whether Putin will visit Gyumri or not.